Security NVR vs DVR. Whats the difference and which do I purchase? Security NVR vs DVR, which one do I purchase? Lets review the choices. AHD, HDTVI, HD-CVI, and HD-SDI. What you really should be selling or buying. Digital video recorders and network video recorders come in various different models and types. Understanding what to look for is important and even more important is understanding what you need. Lets review the various types of CCTV security recorders to better understand what to look for. 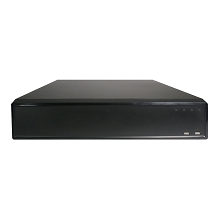 Camera Channels - NVRs (Network Video Recorders) and DVRs(Digital Video Recorders) come in various sizes. Typically you will see these systems in 4, 8, 16 and 32 channel (camera) systems. Having 16 channels will allow you to have 16 cameras on one system. This means you can record 16 cameras on one system. Most people tend to go with these recorders because of the large capacity of camera channels they can use. 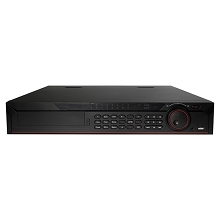 Even if you only need 5 cameras to start, a 16ch NVR or DVR will allow you to have growing room. 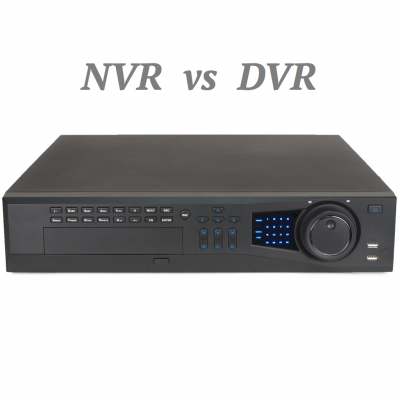 NVR vs DVR - The difference between an NVR and DVR can be confusing to many. A network video recorder (NVR) records IP cameras that are transmitted via a network cable. These cameras connect to an NVR either by way of a network switch or router and in some cases directly to the recorder itself. In essence, NVRs record IP cameras. 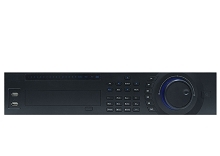 Digital video recorders (DVRs) are synonymous with recording analog or coax based cameras. Newer HD-SDI or HD-CVI cameras also transmit via coax cable and also use DVRs to record. So in short, a DVR records cameras that are connected via a coax cable. There are more technical details involved explaining the two technologies but for the purpose of this article we will keep it as simple as possible. They both record cameras and offer the same similar options but they record different transmission methods. Ease of use - Both NVRs and DVRs offer very easy menus to navigate and program the recorders. NVRs tend to be slightly more difficult because the cameras themselves are network devices so they must be programmed with an IP address just like any other device connected to a network. This can cause a little more confusion to customers that are not network savvy. Some systems like this one offer a no-nonsense setup. The NVR itself recognizes the cameras and sets them up for you. This makes using IP camera a lot easier. DVRs are more cut and dry. Cameras do not need to be programmed or set up when connected to the recorder. They are a simple plug and play solution. These security recorders make setup and installation much easier for the DIY customer, as they do not need to mess with camera settings or programming. Both systems offer remote video monitoring and HD recording capability. What you need to consider when choosing a security surveillance NVR or DVR. The most important factor when considering a recorder typically is your wiring. Wiring will dictate what you need and what you can use a majority of the time. As an example, if you already have coax cables installed and connected to an older analog CCTV system it would make more sense to use a DVR that supports coax cable already. This will cut costs down, and eliminate the need for running new wiring. Newer HD surveillance camera systems transmit HD video over coax so you can simply swap out your cameras and DVR for newer technology for a fraction of the cost of a new installation. Existing wiring and pre-wired homes or businesses can narrow down your your choice right from the get go. What options do I have when choosing security cameras and a surveillance recorder? These are your options when considering an HD security camera system in todays market. I did not include analog CCTV cameras as they simply should not be considered for surveillance. HD-SDI - HD-SDI cameras and recorders allow you to transmit video over coax cable just like analog cameras. Cameras are powered separately using either 12vDC or 24vAC depending on the camera. Most HD-SDI cameras have a transmission distance limitation of 400-600 feet max depending on the technology and coax cable quality. These cameras come in various models such as bullets, domes, full size, and PTZ form factors just like any other camera technology. Camera adjustments have to be made at the camera itself and done manually. Cameras are offered in 1, 2, 3 and 5 Megapixel resolutions. This technology is great for customers that already have existing analog cameras installed using coax cables. Its a simple no fuss upgrade to HD technology. HD-CVI - The new kid on the block. HD-CVI also uses coax cable to transmit cameras just like HD-SDI. The major key differences is that HD-CVI allows you to go further with coax. You can transmit HD-CVI up to 1500 feet using coax. This bodes well for consumers that have longer wire runs in place. HD-CVI also allows you to enter the camera OSD ( on screen display menu ) from the DVR itself. This means that you can adjust the camera settings directly from the recorder without having to manually make the changes at the camera. This helps tremendously because you do not need to get up on a ladder to adjust cameras by hand. HD-CVI also allows you to use CAT5 ( networking ) wiring with baluns to transmit video. This is something you cannot do with HD-SDI. This adds more versatility to the installation. The one downside to HD-CVI is that currently the highest resolution available is 1080p (2 Megapixel ). This really does not pose a problem to most consumers as 2 Megapixel is more than enough resolution for their needs. IP Cameras - Network IP cameras transmit video over network wiring (cat5/6) just like your typical computer or laptop. These cameras tend to offer a lot more features and come in various HD resolutions that are not matched by its competitors. There are several cameras over 20 Megapixel on the market today. IP cameras offer consumers the ability to program cameras individually and separate from the recorder. This means that you can have IP cameras that are not connected to a recorder at all. You can have an IP camera connected to a network by itself and view the camera independently without the need of a recorder. This is something the other technologies simply cannot do. IP surveillance cameras act much like a recorder themselves by providing full programing of their resolution, bandwidth usage and even email alerts. You have a vast amount of options with IP cameras that you simply will not get with other technologies. The downside is the learning curve for most consumers. Consumers that do not have network experience or will never use these advanced options will opt for a more simplified surveillance system. Another downside to IP cameras is that you cannot transmit further than 330 feet without needing a repeater or booster to further the distance of the IP camera. This can add to your cost if you have long wire runs. In the end all three of these technologies offer a very similar experience and end resolution when it comes to picture quality and recording. A 2 Megapixel camera in HD-SDI, HD-CVI and IP will give you very similar results. All systems offer large capacity recorders, same menu functions, same recording capabilities and remote apps for viewing. It really boils down to what you prefer. It's very much like choosing between an electric, diesel and or gas powered car. They all take you where you need to go they just get there using different methods. Based on what we have discussed, here are the key things to look for when choosing the right security camera system. Consider the wiring you already have in place. Current wiring allows you to upgrade to newer HD camera systems for a fraction of the cost. Do you need more than 1080p (2 Megapixel) resolution? Determine your camera cable lengths. Are you network savvy? Are you comfortable programming network devices? Time wasted - Any surveillance system that takes you a long period of time to program and configure can be a waste of time. Many systems offer a plethora of features and programming options that can optimize your surveillance system, but programming your CCTV camera system incorrectly can lead to false alarms, lapse in recording and having your cameras not work. Sometimes the simplest systems are the best. Consider what you need and what you want the system to do and then base your purchase on those needs. Unidentifiable Video - We all see those video recordings on our local news channels that ask us to identify a perpetrator that was caught on video. The problem is that a majority of the time those criminals look like blocks of color that simply do not help in identifying them. So what is the point of spending the money on surveillance cameras if you can't make out who robbed you. Choosing the right security camera system is crucial. HD camera systems allow for crystal clear images that help identify those who commit crimes. Future Proofing - New HD technology allows you to purchase camera systems that will grow with you. Analog CCTV camera have served their purpose and no longer allow you to grow or expand on their capability. Throwing money at this technology will only backfire. Invest in technology that will continue to grow and allow you to add to it in the future. Saving money now will cost you later.